You’re automatically entered when you make a qualifying deposit of $100 or more to your account from 3/26/19 – 7/23/19. Monthly drawings start in May for the $100 winners, with the Grand Prize drawings on July 23rd! *no purchase necessary. Sweepstakes ends 7/23/19. Must be a resident of the 50 U.S. states (excl VT) or DC & 18 or older to enter. Subject to Official Rules. Void where prohibited. Deposit has to post to the account by midnight on the 7/23/19. Green Dot Corporation is the official sponsor of this sweepstakes. Dates of the sweepstakes: The "2019 GDOT Spring Deposit Promotion" Sweepstakes (the "Sweepstakes") begins at 12:00 AM (Eastern Time ["ET"]) on March 26, 2019 and ends at 11:59 PM ET on July 23, 2019 (the "Sweepstakes Period"). The Sweepstakes Period will be subject to three (3) entry periods (each, an "Entry Period") as outlined in the "ENTRY PERIODS" section of these Official Rules. Eligibility: To enter the Sweepstakes, you must be a lawful permanent resident in one (1) of the fifty (50) United States or the District of Columbia (excluding Vermont, Puerto Rico and the U.S. territories and possessions) and at least the age of majority in your state of residence (nineteen (19) in Alabama, Nebraska, twenty-one (21) in Mississippi, and eighteen (18) in all other states) with a valid Social Security number at the time of entry (the "Entrant"). Employees of Green Dot Corporation (the "Sponsor") and each of its affiliated companies, parents, subsidiaries, and advertising and promotion agencies, including, but not limited to National Sweepstakes Company, LLC (the "Sweepstakes Administrator"), herein (collectively, "Sweepstakes Entities"), and any service partners, as well as The Bancorp Bank, MetaBank®, Mastercard International Inc. and Visa U.S.A. Inc. collectively, the "Releasees") and their immediate families (i.e. parents, children, siblings, spouse) and members of their households (whether related or not) are ineligible to participate in this Sweepstakes. Sweepstakes is void in Vermont, Puerto Rico, U.S. territories and possessions, outside of the fifty (50) United States, District of Columbia and where restricted or prohibited by law. By entering, Entrants agree to be bound by these Official Rules, including all eligibility requirements and the decisions of the Sponsor, which are final and binding. Entry Periods: For the purposes of this Sweepstakes, there will be one (1) drawing associated with each Entry Period. There will be sixty (60) entry period prize winners for Entry Period 1 and Entry Period 2 and fifty (50) entry period prize winners for Entry Period 3 (each an "Entry Period Prize Winner") . Each Entry Period will start and end on the date and time in the Entry Period chart below. All entries must be submitted during this time period in order to be included for that Entry Period’s drawing. At the end of the Sweepstakes Period, there will be one (1) grand prize drawing to select five (5) grand prize winners (each a "Grand Prize Winner"). All winning and non-winning eligible entries received during each Entry Period will be eligible for the Grand Prize drawing. ALL NON-WINNING ELIGIBLE ENTRIES FROM THE PREVIOUS ENTRY PERIOD(S) WILL NOT CARRY OVER TO SUBSEQUENT ENTRY PERIOD DRAWINGS, HOWEVER ALL WINNING AND NON-WINNING ENTRIES WILL BE ELIGIBLE FOR THE GRAND PRIZE DRAWING. How to enter: There are two (2) ways to receive entries into the Sweepstakes. Make a qualifying deposit of $100 or more during the Sweepstakes Period to your personal card account for one of the following cards: AccountNow Gold Visa® Prepaid Card, AccountNow Prepaid Visa Card, AccountNow Prepaid Mastercard®, Prepaid Visa RushCard, Green Dot branded reloadable prepaid Visa or Green Dot branded reloadable prepaid Mastercard cards, Green Dot 5% Cash Back Visa Debit Card, Green Dot Affinity Brands card (NASCAR, Halogen), Uber VisaDebit Card from GoBank, GoBank branded Mastercard or GoBank branded Visa Debit cards, 1199 SEIU prepaid card, TPG card, or Walmart MoneyCard prepaid cards (each, a "Card") and receive one (1) entry for such qualifying deposit. SEIU prepaid cards, TPG cards, Walmart MoneyCard prepaid cards may only be obtained from a tax preparer. Qualifying deposits include: direct deposit, cash deposit/reload at retail locations, MoneyPak, Mobile Check deposit, bank transfer, and Paypal transfers. Western Union/MoneyGram for RushCards only. Non-Qualifying deposits include P2P transfers and Vault transfers. PLEASE NOTE: A qualifying deposit is dependent upon the date on which the qualifying deposit has been posted to the respective Card account. In order to qualify as an entry, the eligible deposit must be posted to the respective Card account by the dates indicated in the Entry Period Chart in the "ENTRY PERIODS" section of these Official Rules to be eligible for the applicable Entry Period drawing. A deposit posted to the respective Card account after 11:59 PM ET on July 23, 2019 will not be considered an entry. To enter without having or using a Card to make a Deposit<, on a plain 3" x 5" card, legibly print or type your name, age, complete address, city, state, zip code, home phone number (including area code), and email address (if any). Then, mail your 3" x 5" card in a postage-affixed sealed envelope to: "2019 GDOT Spring Deposit Promotion" Sweepstakes, P.O. Box 10368, Rochester, NY 14610. Mail-in entries must be postmarked and received by the dates indicated in the Entry Period Chart in the "ENTRY PERIODS" section of these Official Rules to be eligible for the applicable Entry Period drawing. No mechanically or programmatically reproduced entries are permitted. One (1) entry per envelope. Neither the Sponsor nor the Sweepstakes Administrator will verify receipt of entries for Entrants. All entries submitted become the sole property of Sponsor and will not be returned. Sponsor is not responsible for late, misdirected, illegible, or damaged mailed entries. Limit of ten (10) entries per Entrant for each Entry Period, regardless of method of entry. All winning and non-winning entries from all Entry Periods are eligible for the Grand Prize drawing. There is a limit of 1 prize per Entrant for the Grand Prize drawing. Entrants may only use one (1) Card and one (1) email address to participate in this Sweepstakes. Entries received from any Entrant, email address or Card in excess of the above stated limitation will be void. In the event of uncertainty as to the identity of an Entrant, that Entrant will be disqualified. Any attempt by any Entrant to obtain more than the stated number of entries by using multiple/different identities, Cards, email addresses, accounts, and/or any other methods will void that Entrant’s entries and that Entrant may be disqualified from the Sweepstakes. No mechanically or programmatically reproduced entries are permitted. Sponsor will not verify receipt of entries for Entrants. All entries submitted become the sole property of Sponsor and will not be returned. Sponsor is not responsible for lost, late, misdirected, illegible or damaged entries, deposits or failed internet connections. Entry Period drawings: On or about the drawing dates outlined in the Entry Period Chart in the "ENTRY PERIODS" section of these Official Rules, sixty (60) Entry Period Prize Winners for Entry Period 1 and 2 and fifty (50) Entry Period Prize Winners for Entry Period 3 will be selected in a random drawing for each Entry Period conducted under the supervision of the Sweepstakes Administrator, an independent judging organization, whose decisions are based on their sole discretion and interpretation of these Official Rules, and are final and binding in all respects. All non-winning eligible entries from the previous Entry Period drawings will not carry over to subsequent Entry Period drawings. Odds of winning depend upon the total number of entries received during the respective Entry Period. Grand Prize drawing: On or about August 2, 2019, five (5) Grand Prize Winners will be selected from all winning and non-winning eligible entries received throughout the Sweepstakes Period in a random drawing conducted under the supervision of the Sweepstakes Administrator, an independent judging organization, whose decisions are based on their sole discretion and interpretation of these Official Rules, and are final and binding in all respects. Odds of winning depend upon the total number of entries received during the Sweepstakes Period. Grand Prizes (5): Five (5) grand prizes of $1,000 (each a "Grand Prize") will be awarded to each grand prize winner (the "Grand Prize Winner"). If a Grand Prize winner has an open Card account, the Grand Prize will be credited to his/her Card account. In the event that a Grand Prize Winner does not have an open Card account, the Grand Prize will be awarded in the form of a check. Total approximate retail value ("ARV") of all Grand Prizes is $5,000. Entry Period Prizes (170): A total of one hundred and seventy (170) Entry Period Prizes of $100.00 (each an "Entry Period Prize") will be awarded to each Entry Period Prize Winner. If an Entry Period Prize Winner has an open Card account, the Entry Period Prize will be credited to his/her Card. In the event that an Entry Period Prize Winner does not have an open Card account, the Entry Period Prize will be awarded in the form of a check. Total ARV of all Entry Period Prizes is $17,000. The total maximum ARV of all prizes to be awarded is $22,000. For purposes of these Official Rules, the Entry Period Prize Winners and Grand Prize Winners will be collectively referred to as "Prize Winner(s)", and the Entry Period Prizes and Grand Prizes will be collectively referred to as "Prize(s)". PRIZE RESTRICTIONS: The amount of the Prize that, if loaded to a Prize Winner’s Card, would cause a Prize Winner’s Card balance to exceed the Card’s maximum balance limit will be awarded in the form of a check. No prize substitution, except at Sponsor’s sole discretion or as otherwise provided herein. Prize is not transferable prior to award. All taxes on any Prize are the sole responsibility of the Prize Winner and are not transferable. Prize Winner is solely responsible for all other expenses not specified herein, including but not limited to applicable taxes, Card fees, and check cashing fees. Sponsor reserves the right to exclude from the Sweepstakes any potential Prize Winner who is suspected of theft, fraud, or any criminal activity related to Sponsor or its affiliates. Entries associated with fraudulent Cards or other unauthorized use of Cards and entries associated with any similar fraudulent or inappropriate activities relating to any such Cards will be void and all such Entrants may be disqualified. Grand Prizes: Potential Entry Period Prize Winners will be notified upon receipt of his/her Entry Period Prize either via credit (if Entry Period Prize Winner has an open Card account) or check. All Entry Period Prizes will be awarded within four (4) to six (6) weeks after the drawing date. In the event that the Entry Period Prize is returned as undeliverable, such Entry Period Prize Winner forfeits his/her right to the Entry Period Prize and an alternate Entry Period Prize Winner will be selected from among all non-winning entries received during the respective Entry Period. Except where prohibited, each potential Grand Prize Winner must sign and return, within ten (10) business days of receipt, an Affidavit of Eligibility/Liability/Publicity Release and an IRS W-9 Form (the "Paperwork") in order to claim the Grand Prize. Except where prohibited by law, Grand Prize Winner’s entry and acceptance of the Grand Prize constitutes permission for the Sweepstakes Entities to use said Grand Prize Winner’s name, photograph, likeness, statements, biographical information and voice on a worldwide basis, and in all forms of media, in perpetuity, without further compensation. If a potential Grand Prize Winner fails to return the Paperwork within ten (10) days of receipt of the Paperwork, or if an Entrant is found to be ineligible, or if he/she does not comply with the Official Rules, then the potential Grand Prize Winner in question will be disqualified and an alternate Grand Prize Winner may be selected through a random drawing by the Sweepstakes Administrator from the remaining non-winning entries received during the Sweepstakes Period. If the Notification or Prize is returned as undeliverable, this will result in disqualification and an alternate Grand Prize Winner will be selected as outlined above. The Sponsor, or a third party acting on its behalf, must report the value of the Grand Prize to the Internal Revenue Service in the year the Grand Prize is received by the Grand Prize Winner and will be reported to the Grand Prize Winner and the Internal Revenue Service in the form of a Form 1099. In the event it is deemed during the verification process that the potential Grand Prize Winner does not have a unique, personal, and valid social security number for Sponsor (or any party acting on its behalf) to report the tax liability associated with acceptance of his/her Grand Prize, the potential Grand Prize Winner will be disqualified and another potential Grand Prize Winner will be selected from among the remaining eligible entries received during the Sweepstakes Period. Valid social security numbers will be determined by IRS requirements. Entry Period Prizes: Potential Entry Period Prize Winners will be notified upon receipt of his/her Entry Period Prize either via credit (if Entry Period Prize Winner has an open Card account) or check. All Entry Period Prizes will be awarded within four (4) to six (6) weeks after the drawing date. In the event that the Entry Period Prize is returned as undeliverable, such Entry Period Prize Winner forfeits his/her right to the Entry Period Prize and an alternate Entry Period Prize Winner will be selected from among all non-winning entries received during the respective Entry Period. SWEEPSTAKES RULES OF PARTICIPATION: This Sweepstakes is subject to all applicable federal, state and local laws. By participating, Entrants agree to be bound by these Official Rules and the decisions of the Sponsor and waive any right to claim ambiguity in the Sweepstakes or these Official Rules. Sweepstakes Entities are not responsible for lost, late, misdirected, undeliverable, illegible, or incomplete entries, whether due to system errors or failures, faulty transmissions or other telecommunications malfunctions, entries not received resulting from any hardware or software failures of any kind, lost or unavailable network connections, failed, incomplete or garbled computer or telephone transmissions, typographical or system errors and failures, faulty transmissions, technical malfunctions, or otherwise. Sponsor may prohibit an Entrant from participating in the Sweepstakes or winning a Prize if, in its sole discretion, it determines that said Entrant is attempting to undermine the legitimate operation of the Sweepstakes by cheating, hacking, deception, or other unfair playing practices (including the use of automated quick entry programs) or intending to annoy, abuse, threaten or harass any other Entrants, Sponsor, or Sweepstakes Entities. If for any reason this Sweepstakes is not able to be conducted as planned, including, but not limited to, by reason of infection by computer virus, bugs, tampering, unauthorized intervention, fraud or any other causes beyond the reasonable control of Sponsor or the Sweepstakes Administrator which corrupt or affect the administration, security, fairness, integrity or proper conduct of the promotion, then Sponsor reserves the right at its sole discretion to cancel, terminate, modify or suspend the Sweepstakes and randomly draw the potential winners for the random drawing(s) in question from the applicable entries received up to the cancellation/suspension date. CAUTION: ANY ATTEMPT BY A PERSON TO DELIBERATELY DAMAGE OR UNDERMINE THE LEGITIMATE OPERATION OF THE SWEEPSTAKES MAY BE IN VIOLATION OF CRIMINAL AND CIVIL LAWS AND SHOULD SUCH AN ATTEMPT BE MADE, SPONSOR RESERVES THE RIGHT TO SEEK REMEDIES AND DAMAGES (INCLUDING ATTORNEY’S FEES) FROM ANY SUCH PERSON TO THE FULLEST EXTENT OF THE LAW, INCLUDING CRIMINAL PROSECUTION. NO LIABILITY: By entering, Entrants and Prize Winners agree to comply with all Official Rules, as stated and agree to release, discharge, indemnify and hold harmless the Sponsor, its affiliates, and their respective agents, representatives, officers, directors, shareholders, and employees, including the aforementioned Releasees in the "ELIGIBILITY" section of these Official Rules, (now collectively defined as the "Releasees") from any claims, actions, injury, loss or damage of any kind, including, without limitation, personal injury or death, resulting, directly or indirectly, in whole or in part, from participating in this Sweepstakes or form the acceptance, possession, or use or misuse of a Prize. This limitation of liability is a comprehensive limitation of liability that applies to all damages of any kind, including, without limitation, compensatory, direct, indirect, or consequential damages; loss of data, income or profit; loss of or damage to property; and claims of third parties. Entrants agree that Releasees have not made nor are in any manner responsible or liable for any warranty, representation, or guarantee, statutory, express or implied, including, without limitation, the implied warranties of merchantability, title, and fitness for a particular purpose, in fact or in law, relative to this Sweepstakes. WINNER’S LIST/RULE REQUEST: To receive a Prize Winner list or an additional copy of these Official Rules, send a self-addressed, stamped business-size (#10) envelope to be received by September 3, 2019 to: "2019 GDOT Spring Deposit Promotion" Sweepstakes, P.O. Box 10505, Rochester, NY 14610. Please specify "Winner List" or "Rules Request." SWEEPSTAKES ADMINISTRATOR: This Sweepstakes is being administered by National Sweepstakes Company, LLC, 80 Rockwood Place, Suite 104, Rochester, NY 14610, an independent judging organization, whose decisions will be final regarding the conduct of this Sweepstakes. The AccountNow Prepaid Visa Card and AccountNow Gold Visa Prepaid Card are issued by Green Dot® Bank, The Bancorp Bank or MetaBank pursuant to a license from Visa U.S.A. Inc. and can be used everywhere Visa debit cards are accepted. The AccountNow Prepaid Mastercard (Classic) is issued by MetaBank pursuant to license by Mastercard International Incorporated and may be used where Debit Mastercard is accepted. The RushCard Prepaid Visa® is issued by MetaBank®, Member FDIC, pursuant to a license from Visa U.S.A. Inc. Card accepted everywhere Visa debit cards are accepted. Please see the back of your Card for its issuing bank. Green Dot Bank, The Bancorp Bank and MetaBank; Members FDIC. Usage restrictions may vary by issuing bank. Refer to your Cardholder Agreement for details. Visa is a registered trademark of Visa International Service Association. Mastercard is a registered trademark, and the circles design is a trademark of Mastercard International Incorporated. Green Dot is a registered trademark of Green Dot Corporation. © 2019 Green Dot Corporation. All rights reserved. All other registered marks are property of their respective owners. 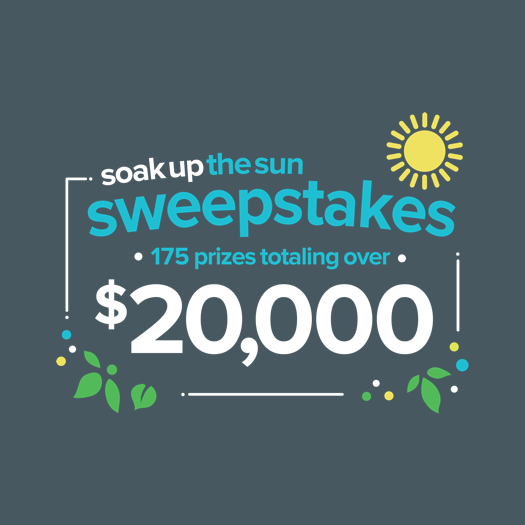 The Bancorp Bank, MetaBank, Visa, and Mastercard are not affiliated in any way with this Sweepstakes and do not endorse or sponsor this optional Sweepstakes. Card may have fees that reduce winnings. Funds do not expire.